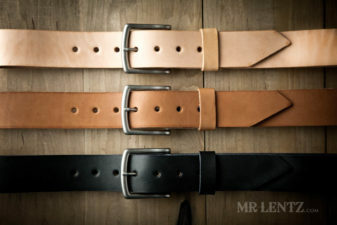 There’s nothing quite like a nice handmade leather belt built with a minimal design, U.S. Full-Grain leather, and solid brass snaps. All my leather goods, including leather yoga mat straps and leather keychains are made to order. Each one of my leather belts, leather straps (including the yoga mat strap), leather keychains and other items were all designed out of a necessity. That necessity being that these are all leather accessories that will see heavy use and need to stand up for the longrun. You won’t find anything quite like my leather keychain designs out there since, though small, I still use only the best materials for them and make them per order by hand. This goes for all leather belts, yoga mat straps, and the coin purse as well.